The First High Voltage Oscilloscope Probe optimized for Plasma Processing Applications! The Vigilant Oscilloscope Probe is the first high voltage probe optimized for plasma applications. It offers a flat frequency response (1000X attenuation) from DC (to measure the self-bias in a CCP discharge) up to the common excitation frequencies used in plasma applications: 2MHz, 13.56MHz, 27.12MHz, 40.68MHz. 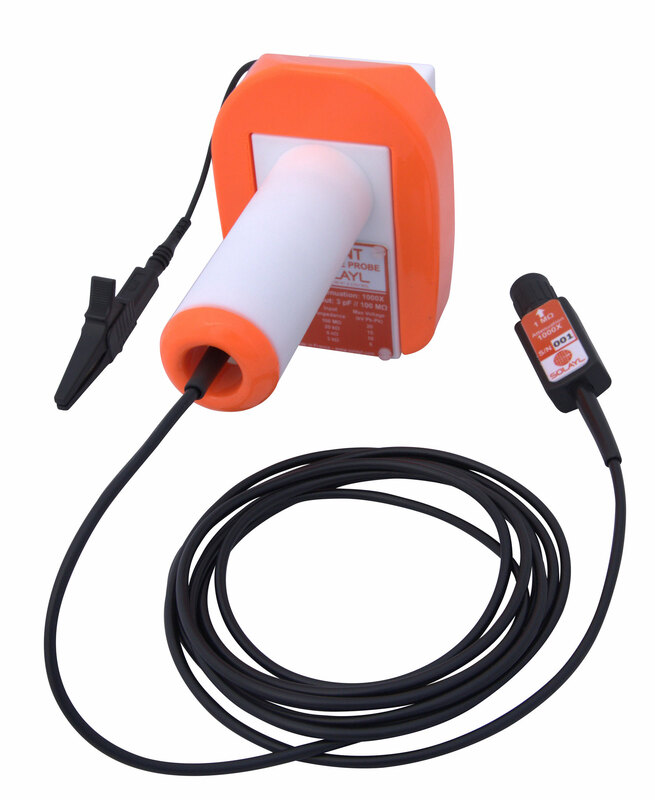 This probe uses an innovative voltage sensor to achieve a high voltage rating while minimizing the perturbation of your system under test (very high input impedance from DC to RF). 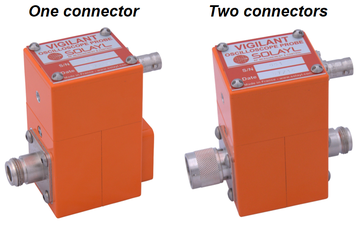 The user can switch anytime between 3 configurations to suit all its measurement needs (see below). 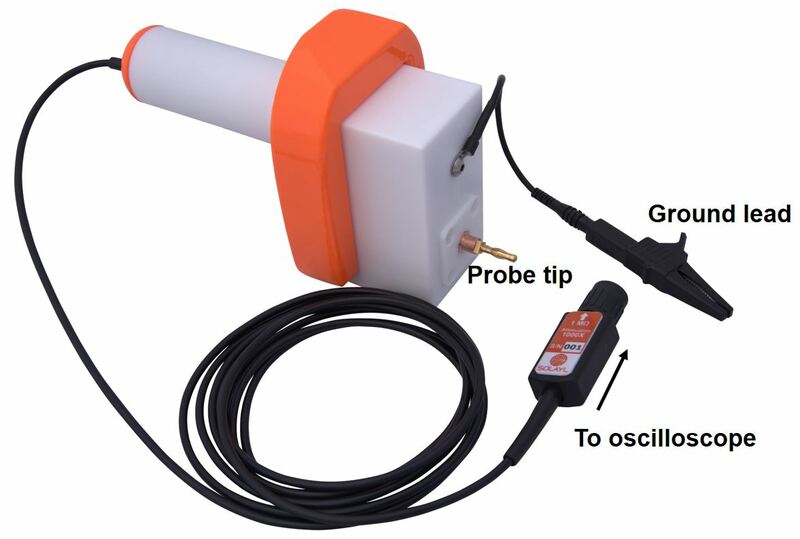 The probe is provided with handy accessories (see below) to connect the end tip to the typical hardware met in plasma appllications. 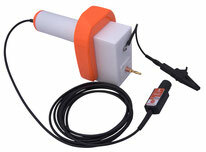 This is therefore a really handy probe for your R&D projects or troubleshooting plasma systems. 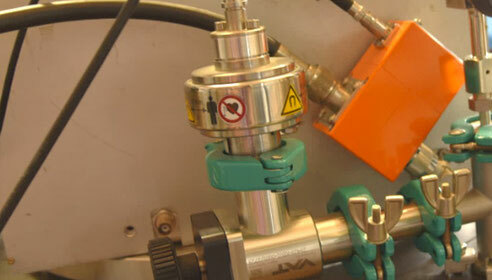 The probe is provided with handy accessories to connect the end tip to the typical hardware met in plasma appllications such as copper straps or rods. 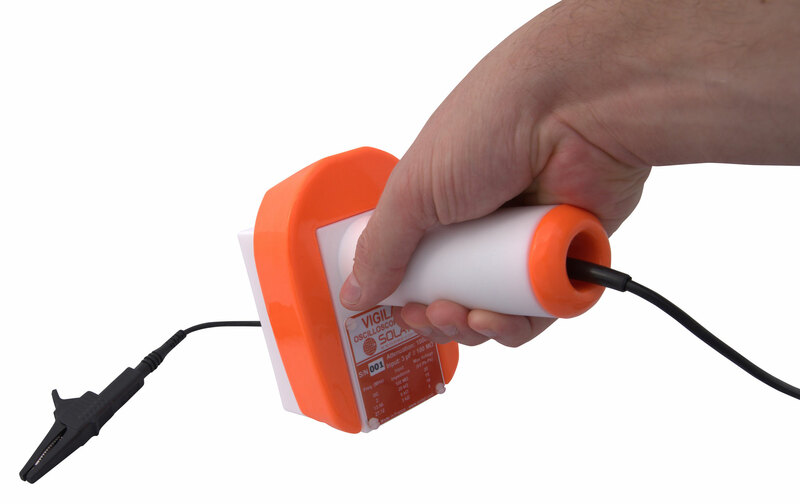 The probe is then always firmly attached to your circuit under test to make sure your voltage measurements are reliable, repeatable and safe. The user can switch between 3 configurations to suit all its measurement needs. This is the traditional manual configuration with the end tip touching (or plugged into) the circuit under test with a banana plug. The handle and the protective outer shell are made of thick teflon ensuring the best possible insulation for DC and RF voltages. 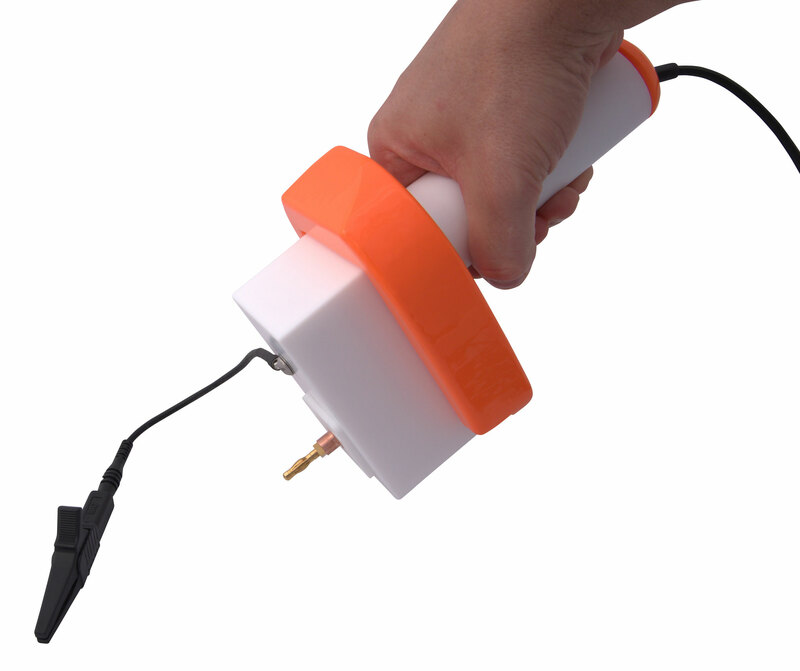 The probe is compact thanks to its L-shape. It rests flat on your workbench without rolling. 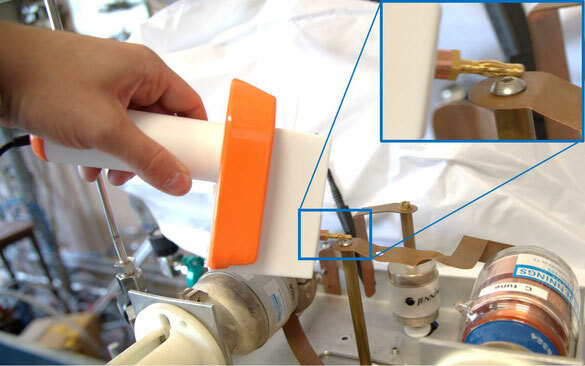 The handle and the "horseshoe" guard ring are removable to further reduce the size of the probe for an easy integration into tight enclosures (matchbox, plasma reactor,...). 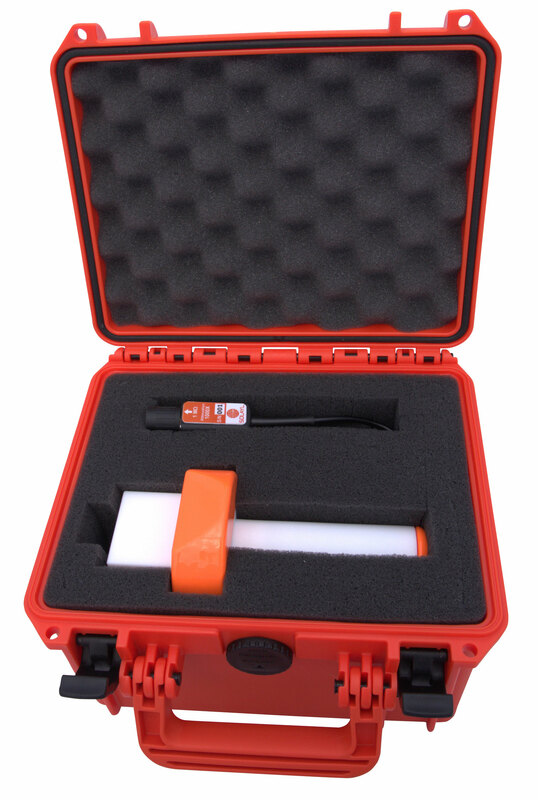 The 3-meter long signal cable carries the signals far from the circuit to your oscilloscope. 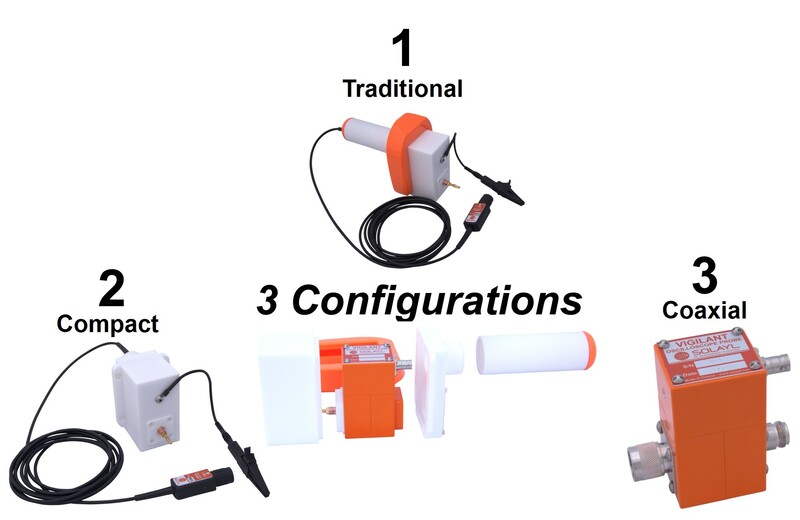 By removing the protective teflon shells the user can easily equipped the probe with one or two coaxial connectors (BNC, N, HN, 7/16...) using Quick-Change compatible connectors. 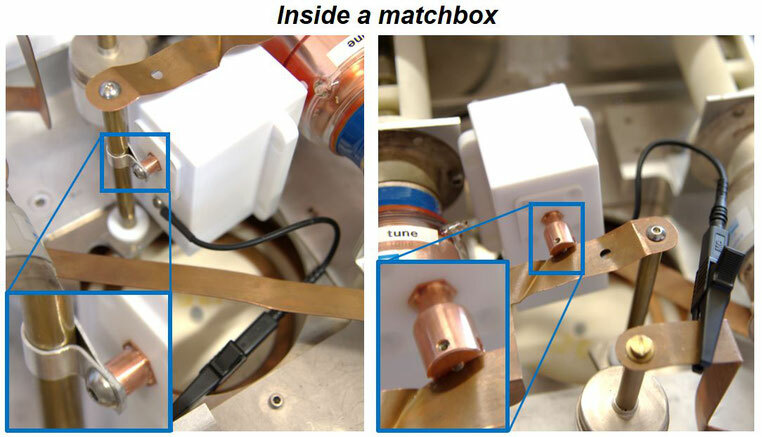 The probe can therefore be inserted in-line on a coaxial cable as shown below at the input of a matchbox.